Smoke Alarm– There should be a working smoke alarm in every room and they should be tested regularly to make sure that the batteries are working and they are functional to alert you in case of a fire. CO2 Detector– CO2 poisoning is becoming a more common threat so installing a detector is a great way to alert you if there is a deadly leak somewhere in the house. These can oftentimes be purchased as a combination with smoke alarms to cover both concerns at once. Install Outdoor Lighting– A must have if your home doesn’t already come with it included. This will be a great investment to keep your home safe and make sure that the entire exterior of your home is well lit, as this can be a simple yet effective way to deter criminals from approaching the home. Updated Locks– As soon as you move in, you may want to update the locks and get extra keys made just in case. You can even consider giving a spare key to a trusted friend or family member that can check the home in the event you’re out of town. 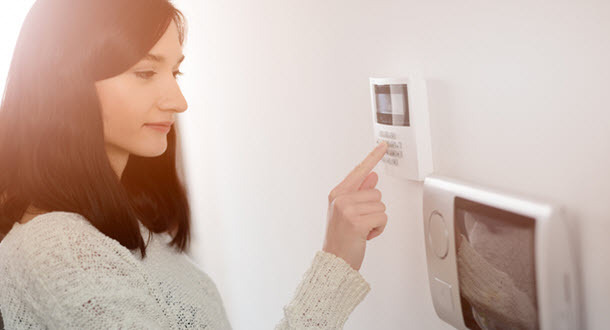 Install an Alarm System– A home alarm system is a great way to protect the home against break-ins. 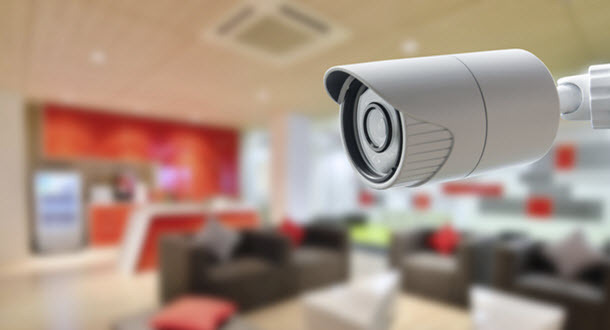 There are myriad amounts of companies dedicated to your home safety and protection and each offer their own unique services and features. Knowing what you need to feel safe and what you believe would be best will help you find the right security company for you. Fire Extinguisher– Simple yet essential, you never know when you may need a fire extinguisher so have one on hand in an easy to access yet out of the way place to ensure in case of emergency that you have it ready to use. Preventing Falls– Falls are the most common type of injury in every age group. You can install window locks, install safety guards to prevent entry to stairs or balconies, and leave a hall light on through the night to help prevent children from falling and injuring themselves. Poisoning– Poisoning is actually one of the top causes of injuries to children under the age of 5 so to keep them safe from poisoning you can remove any potential poisons from the home or store them high in a locked cupboard or even install a child safety latch on the cupboards they’re kept in. Strangulation or Suffocation– It may be hard to imagine but in the average home there are all sorts of everyday items that can strangle or suffocate a child. Easy ways to prevent this is by keeping stuffed toys and cushions out of cots, wrap the cords to blinds in cleats attached to the walls and tie all plastic bags into knots and keep them away from small children. Whether you’re keeping your home safe from intruders or you’re protecting the people inside a bit more, knowing what to stock your home with or to keep out of the home to maximize safety will greatly reduce the chances of both break-ins and preventable accidents. By making sure you take these and other precautions, you’ll be making your home a safe and comfortable place to live for years to come.